Sms-and-Phone.com has started their service to help people in over 50 Countries to make free international phone calls! Whether you have family, friends or business partners in other countries which you would like to be able to call for free or you are an affillate and want to earn Zero-Effort commission, register and upgrade to Pro-Member and watch your income grow by itself by having the comfort of calling your loved ones free at the same time! Q: How long does it take to setup my Free International Phone Calls account? A: As soon as you have upgraded your account to Pro-Member by paying the one-time setup fee, you will receive a confirmation by email immediately that your account is upgraded, and your Free International Phone Calls account will be setup within 24 hours and your login will be sent to your email address. Q: Is sms-and-phone.com the Phone Company itself? A: No, sms-and-phone.com is only the company that has partnered with one of largest SIP/VOIP Company and providing their service, combined with earnings opportunity and at the same time to spread this technology to the world in order to help its members to have the freedom to call in/from over 50 Countries worldwide for free and and less for other countries to save money on their International phone calls. Q: Will I have any recurring payments in order to use my Free International Calls? Q: Will I have any other payments, in order to use my Free International Phone Calls? A: Yes, in order to make Free International Phone Calls, you will need to activate your account by depositing a minimum of 10,00 EUR to your account. 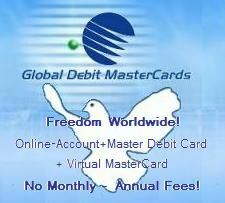 As long as you call free Countries your credit amount of 10,00 EUR will remain uncharged. Your account balance only will be used, if you call other Countries than the listed Countries. Q: Can I make money by referring others to sms-and-phone.com, by being a free member? A: By being a free member of sms-and-phone.com you will already have your unique referral ID, but unfortunately, we cannot pay you commissions for being a free member. As a free member, you will also already see your referrals when you login to your account, and as soon as your referrals upgrade to Pro-Member, you will be eligible to receive the referral commissions, and will be paid to you after your commission balance reached at least the Membership fee amount. Q: Can I become a Pro-Member, from my earned commissions? A: Yes, when you help your Family, Friends and Business Partners by referring to sms-and-phone.com, using your referral link, and have earned as free member at least the amount required to become a Pro-Member, your account will be upgraded automatically to Pro-Member, and any other earnings from this moment on will be paid via your selected payment method. Q: What other Countries can I call with my Free International Phone Calls account? A: You can call all Countries worldwide, and usually you will pay less than you are paying currently using your current phone company. If you want to know the calling rates of other countries, send an email via our contact form. Your email will be answered within 24 hours. Q: How can I use my Free International Phone Calls? A: You will be able to make your long distance (national calls too) via your fixed line, via mobile through the via-access number and also via your computer with headset. Q: How can you afford to offer Free International Phone Calls to over 50 Countries? A: As already stated, we have partnered with one of the largest SIP/Voice over IP companies, that has a very large calling capacity and therefore still make money with charged countries offering their service for less than many other Companies, and can therefore also offer calls from/to over 50 Countries for free. Q: When can I withdraw my earnings I had earned through referring others? A: If you have an available balance of at least $50 in your account, you will be able to withdraw your earnings via your selected payment method. If you are a free Member, but your account balance shows at least the required payment amount for Pro-Membership, it will be used to upgrade your account, in order to help you to earn substantial income, simply because your referrels will talk about our service with their contacts and refer others to your 1st, 2nd, 3rd level and so on, and earn you automatically commissions as well, and you would not be able to withdraw your commissions by being a free member. See earnings table by clicking the "Affiliates" link above. Q: What are the payment options that I can use to get paid my commission? A: You can select between Paypal, Alertpay, Moneybookers, bank wire, or debit card payment. we have partnered with a master debit card provider just for our valued members. You can click on the banner at the left side, or within the members area you will have access to a link that is coded, with a 10,00EUR discount, and with that you will be able to open an account (online account + master debit card + virtual master card) for only a one-time service fee of 14,50EUR and you will receive the discount amount(10,00EUR) by your first deposit of minimum 100EUR to your account. Your commissions will be paid then to your online account, to which you have access through any ATM worldwide or for payments with your debit card or with your virtual mastercard for online purchases or transferring to any other of your bank accounts. If you have other questions that are not answered above, please contact us via our contact form, and we will answer your question and add it to our current FAQ page.